There's a Chick-Fil-A location on Powers Boulevard in Colorado Springs. It's there. It sells chicken sandwiches. It's the only one on that side of the city. The store is technically open from 6AM to 10PM every day, but I don't think I've ever been there before nine at night. Because as good as Chick-Fil-A sandwiches are, they're not worth waiting 40 minutes in a drive-through line that wraps around the building twice. Left: a current listing in Search. 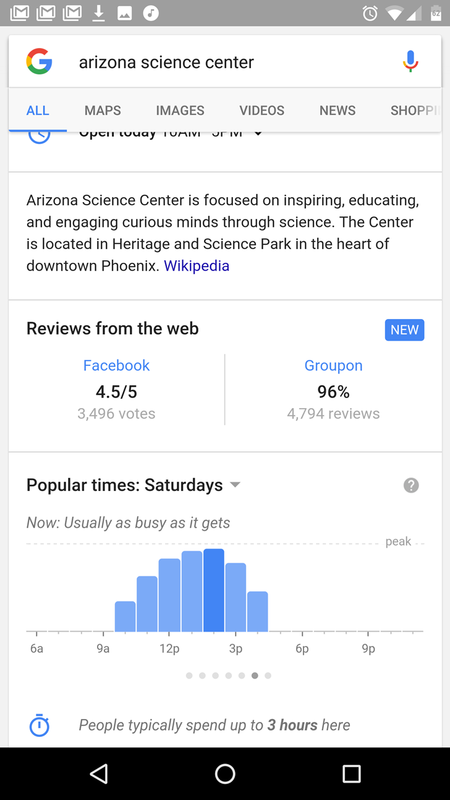 Right: a "dogfood" Google search with the popular times info. Google knows my pain. Google Maps will already show you the popular business times for retail locations like shops and restaurants, and some locations show that info in Search as well. 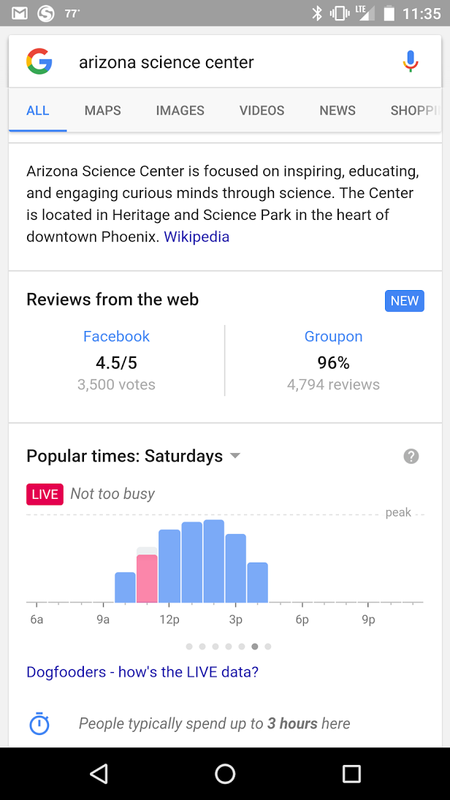 An Android Police reader (and former Google employee) sent us a screenshot of the peak business hours widget from Google Maps showing up in a browser query with live information on the number of customers, allegedly as part of an internal "dogfood" test that the employee is still participating in. The tipster says that live people tracking may be on the way soon - note the "not too busy" LIVE tag in the screenshot above. That means you could search for, say, a nearby chicken sandwich place and know if it's busy right now. Presumably the determination is being made from the same Maps and Search data that enable things like live traffic views. Of course there's no discerning what Google will do until they actually implement new features, but this one seems fairly likely. It's extremely useful info for quick decision-making (especially on mobile), and it would be easy enough to get that data in front of users on both phones and desktops. We'll be keeping an eye out for it. Note: Originally this post said that the popular times data was new, instead of the live time data. The post has been corrected.